A beluga whale habitat near Rivière-du-Loup may be in jeopardy if plans go ahead for the Energy East pipeline. 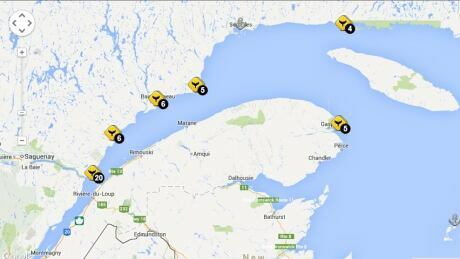 TransCanada wants to build a pipeline to ship oil from Alberta to refineries in Eastern Canada and put a port in Cacouna, just northeast of Rivière-du-Loup, to help get it there. But these plans put a port right in the middle of an at-risk beluga population. The beluga is a small, toothed whale of the Monodontidae family, found in the northern hemisphere and adapted to Arctic and subarctic conditions. The species is characterized by the absence of a dorsal fin, a thick skin and tough dorsal ridge (used to break ice), and a rounded structure, called a melon, on the dorsal surface of the head, which is filled with lipids and facilitates echolocation. Adults are distinguished by their white skin. An adult beluga can weigh up to 1,900 kg and grow to between 2.6 and 4.5 m in length, the female adult attaining only 80 per cent of the male's length, or up to 3.5 m.
However, Le Devoir reported this week that TransCanada also foresees using the pipeline and port to export oil to other countries. 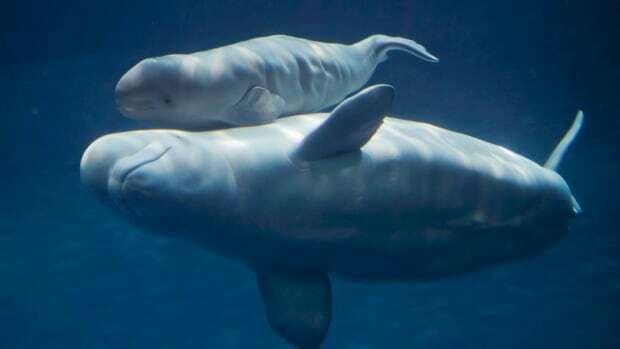 Meanwhile, the deepwater St. Lawrence Estuary beluga population is a species at risk of extinction and is protected under the Species At Risk Act. According to Fisheries and Oceans Canada, the St. Lawrence is home to an estimated 1,000 belugas. Because of the species’ protected status, the federal government has to protect its habitat. As the scientific director of Marine Mammals Research and Education Group (known by its French-language acronym, GREMM), Robert Michaud is concerned for the belugas’ survival. “The building of that deepwater wharf will bring a lot of noise and traffic,” he says. “If the sound is more distant, there will be some behavioural response. The heaviest response could be leaving the area,” Michaud explains. Michaud says the area is not yet a protected zone because the Department of Fisheries and Oceans has yet to receive a decree from Fisheries Minister Gail Shea. Department of Fisheries and Oceans biologist Hugues Bouchard says not having the degree doesn’t change anything because protecting the belugas’ habitat will be a priority once TransCanada presents its pipeline project for review. Bouchard says the minister is expected to issue a decree protecting the habitat within months.